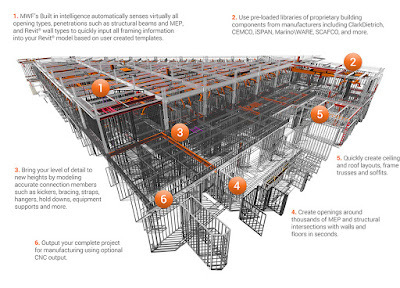 Developed in conjunction with industry leaders, MWF Pro Metal’s intuitive UI facilitates the creation of nearly all aspects of light gauge steel framing within your Revit® model. With over 9 years of development and user experience, MWF Pro Metal’s robust features make it the industry standard in Revit framing software. Easily create framing templates containing all information for accurate framing then match each template to Revit® wall or floor types. MWF’s intuitive template manager allows for the creation of multiple panels with one click. Accurate cutbacks, opening framing conditions and accessories are all implemented within a panel based on the template information and the existing conditions in your Revit® model such as rough opening dimensions, panel widths and heights as well as any interference. MWF Pro Metal’s improved truss designer engine gives ultimate user control in truss shape, individual member sizes, types and gauge of material. 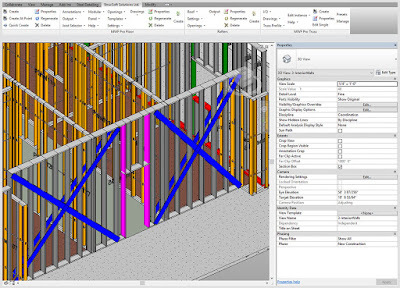 Intuitive truss layout tools quickly allow the user to place complete truss systems in roofs or floors then import the truss members into the model. 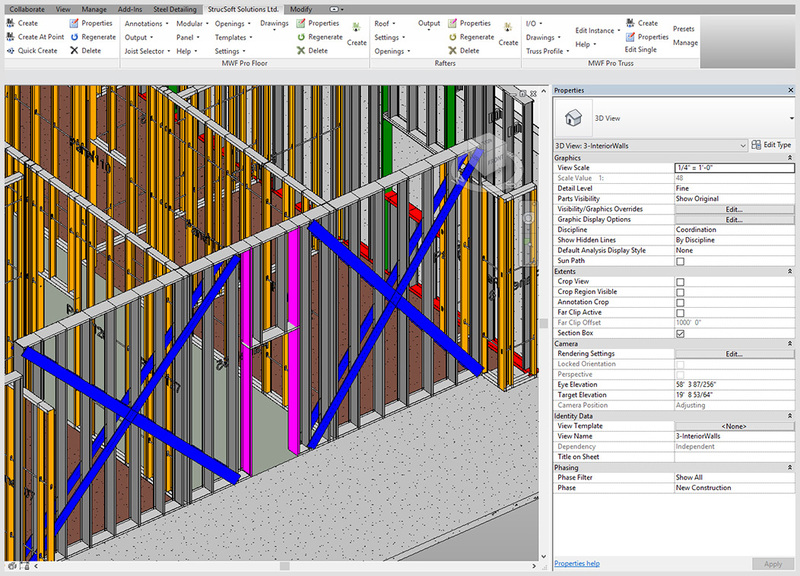 Create member lists, individual truss drawings or panel drawing and even check for clashes. Built in productivity tools give users ultimate control of their project and profitability. From color coding stud gauges, to recognizing identical panels throughout the model, MWF ProMetal captures all of Revits® intelligence with the ability to recognize and frame model groups, quantify with schedules and material take-offs all before sending panel information to a variety of CNC machines along with the shop fabrication drawing.